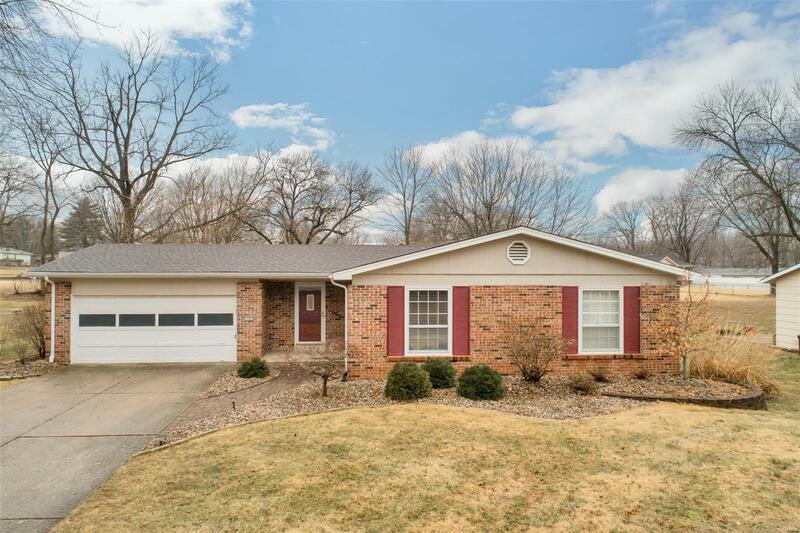 Lovely Ranch home has many updates and desirable features: hardwood floors, 6 panel doors, updated bathrooms, 3 service closets, entry foyer with travertine tile flooring, newer front door, large guest closet. Exterior has newer roof, soffit, gutters, sliding door and deck. Professionally landscaping and planting beds. Crown Molding - Granite Counter tops, soft close drawers, Crown molding, upper and lower corner Lazy Susans, 30" drawers to store your pots and pans, soft close drawers, can lights, under cabinet lighting and travertine stone floor and backstop. Smooth top electric range with warming drawer, dishwasher and built in microwave. Painted in neutral tones, 2â Bali Wood Blinds on main level. Basement updated; drywall, paint, 6 panel doors, can lights, upgrade electrical panel, carpet, electric added to back room. Move in ready just waiting for the right buyer.